Welcome to the Patenting Lives Blog. 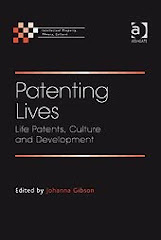 This Blog has been created to encourage diverse input into the interests and concerns of the Patenting Lives Research Project, led by myself, Johanna Gibson. Patenting Lives is a research project funded by the Arts and Humanities Research Council (AHRC), and hosted by the Queen Mary Intellectual Property Research Institute, Centre for Commercial Law Studies, Queen Mary University of London. 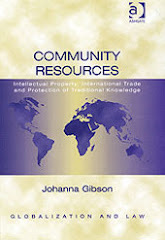 The Project has gathered together interdisciplinary experts to consider intellectual property protections and restrictions on life forms, and particularly the impact on developing and least developed countries. 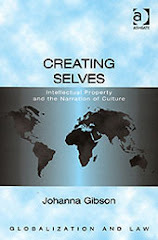 The patenting of life forms raises many critical questions - ethical and moral concerns, as well as questions of the impact on cultural, social, and economic development. The Project materials are available through the project web-site and elsewhere, and input from the public is especially welcome and encouraged. This blog has been created to post materials of interest to the concerns of this research project and to invite contributions and discussion from its readers. I look forward to the information and debate that we will generate in this blog.